The Everest program is a series of advanced advisory sessions offered by MaRS’ Information and Communications Technology Venture Services group to help early-stage founders scale their startups. The program focuses on filling the gaps in a startup’s business plan via intensive discovery, business model testing and validation, beachhead segmentation, rapid product iteration, team building and innovation accounting (that is, identifying metrics that matter). 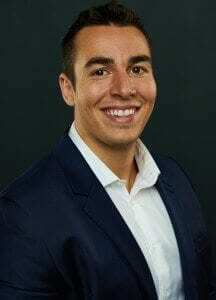 From time to time I’ll be interviewing some of the Everest program’s exceptional founders who are striving valiantly and daring greatly to make their startups work. This month’s Everest showcase presents Rapid Evac, a Toronto startup creating safer workplaces. 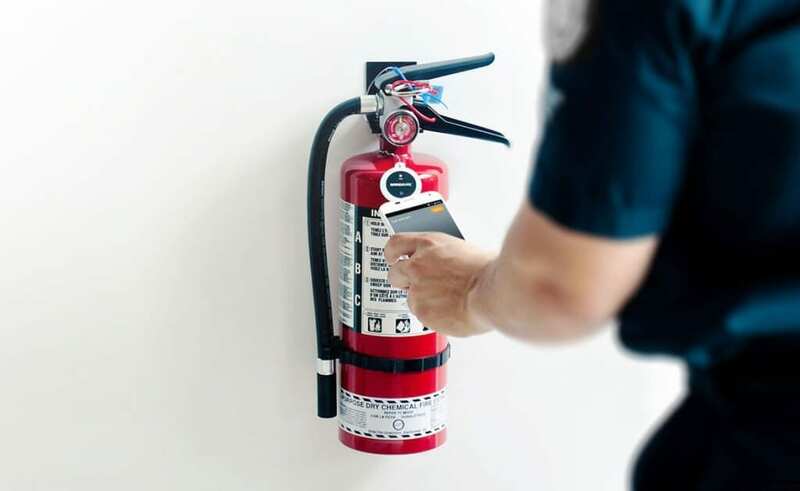 Elevator pitch: All commercial buildings require regular inspections of the equipment within them, such as fire extinguishers, first-aid kits, electrical rooms, fire hoses and emergency lighting. Currently, many companies use paper and pen to keep records related to these inspections. This is an inefficient inspection method as it wastes valuable resources, including time and money. It is also prone to human errors, which can result in damage to the company’s brand and reputation, and can also leave it liable in the event of an incident. 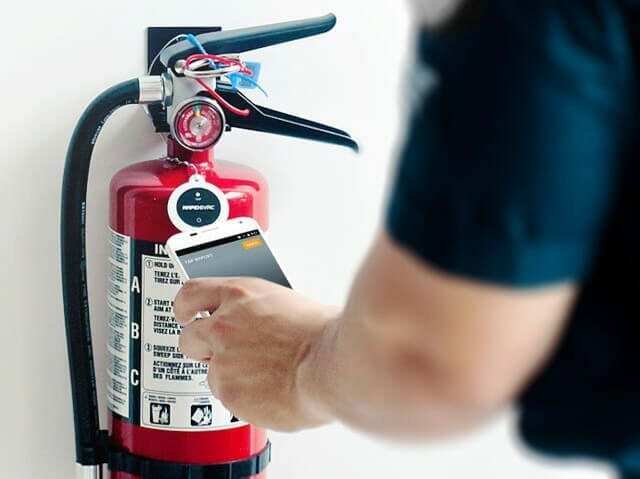 The solution: Rapid Evac Tap Report uses modern near-field communication chip technology to move inspections from archaic paper and pen record-keeping to automatic and instantaneous reporting. Each piece of equipment is equipped with a Smart Tag. 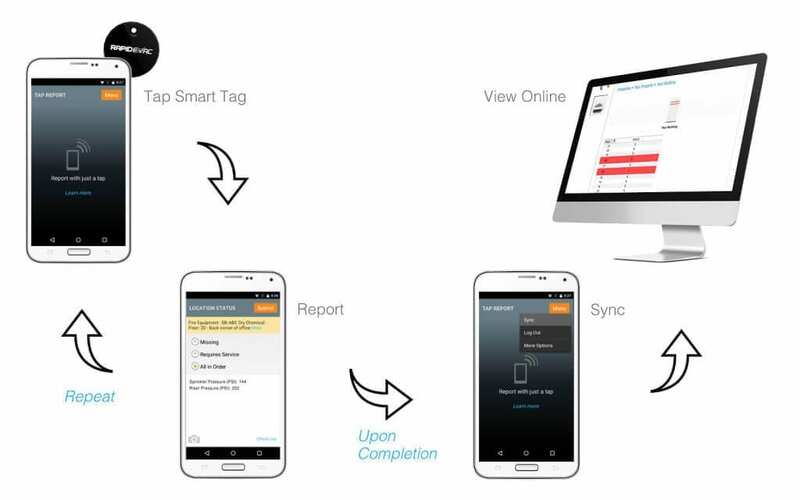 Using the Tap Report app, equipment inspections are completed by tapping the Smart Tag and reporting with three possible options: missing, requires service or all in order. The system provides an overview of the property status and automatically sends out deficiency alerts to the appropriate staff person, which cuts down on review time and reporting inaccuracies. Nathan: Why did you start Rapid Evac Tap Report? Paul: We believe life safety can be made simple. Keeping people safe, making companies more profitable and compliant, and using cutting-edge technology are things we are passionate about. Life safety consists of best practices and procedures that are designed to keep people safe—the inspection of equipment, for example. Today, most large facility enterprises are using paper and pen to track and report safety inspections, which increases the risk of human error and increases the amount of time it takes to discover and rectify deficiencies. Paper and pen inspections also increase the amount of time spent on reviewing deficiencies and notifying the appropriate staff of any issues. We noticed a lot of gaps and inefficiencies with this archaic reporting method, so we created a reporting infrastructure that leverages technology to report inspections and maintain organized records. This helps companies to stay compliant, reduce their risk and protect their brand, all while ensuring the safety of others. Our technology is applicable across a variety of industries, including health and safety, security, construction, food and beverage, the health sector and more. Basically, anything that requires a routine inspection can be accomplished by using Rapid Evac Tap Report. Rapid Evac’s Tap Report helps enterprises track inspection reporting. Nathan: How important has customer discovery been to your startup? What have you learned? Paul: We work directly with our customers to find out where their pain points are and to determine how we can solve their problems. We customize our app to meet their specific and unique needs. Our industry experience—I used to complete and review inspections—allows us to build our technology in a way that keeps the end user in mind every step of the way and is focused on the customer experience. The most important customer discovery is to continually listen to your customers and solicit feedback for improvements. I’ve found it useful to visit customers and observe how they actually use and interact with our product; this has yielded very powerful insights for us. Nathan: How is Rapid Evac Tap Report funded? Paul: We have bootstrapped it to date with the help of the co-founders. We have more than enough capital to sustain the company on our own. We would likely only take on an investment if the investor had connections across Canada and could strategically place us in buildings. Rapid Evac’s Tap Report cycle. Nathan: How did you build the team? Paul: Building the team came naturally. I’ve known my business partner Matthew Aceto since Grade 1 and we’ve always been good friends. I worked in the life safety industry and he worked as a programmer, so we complemented each other well. During product development we realized we needed someone with sales experience and we teamed up with Steve Buck from High Tech Fire and Safety. He is very personable and I worked closely with him at my previous job. He has over 25 years of industry experience, so it was easy to see us working together. Paul: MaRS is an innovative and cool place to be. The building has a lot of energy and is a great place to engage with other passionate entrepreneurs. There is a lot of shared learning here, which I find beneficial and inspiring. Nathan: Where do you see Rapid Evac Tap Report in two years? Paul: I see it not only in Canada, but also in the United States and other places around the world. Safety is universally important, so we believe we can expand worldwide. Nathan: What three words define Rapid Evac and its team? Interested in learning more about the company? Follow Rapid Evac on Facebook and Twitter.